Dataedo allows writing its custom fields back to SQL Server database extended properties. This is a part of exporting descriptions function. 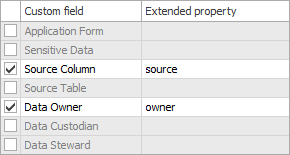 SQL Server databases have a feature called extended properties. Those are custom metadata fields DBA/architect can assign to various database schema elements such as tables or columns. SQL Server has a special extended property named MS_Description that is used by MS tools as a default field for schema element descriptions. Dataedo maps this property to its descriptions both in import and export (note first item in the table). 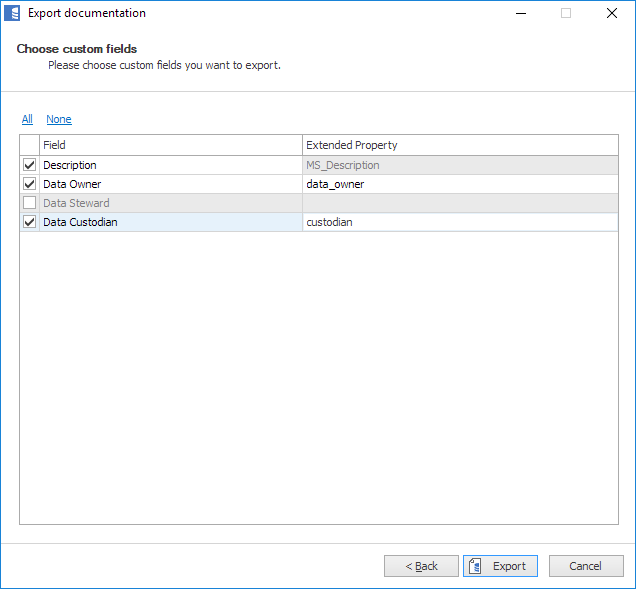 Exporting custom fields to SQL Server extended properties is done through Export descriptions/custom fields to database option described in Export descriptions to database article.